Mid-August has crept right up on us this year! We have been enjoying every second of the summer months and despite my my urge to order backpacks, buy fleeces and stock up on back to school supplies as the fall months quickly approach, I refuse to do so. Sitting poolside, applying sunscreen, taking bike rides and playing with friends all day, are hard habits to break. We're soaking up every last second of that warm summer sunshine by taking advantage of some great local picnic spots! In my opinion, breezy evenings at the beach during those twilight hours are the best part of the day! 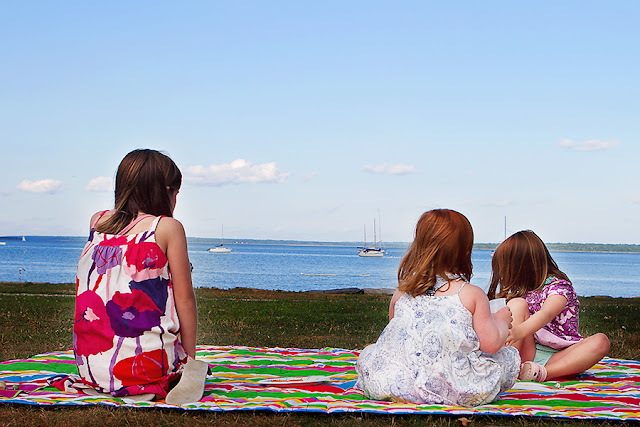 We love packing a picnic and enjoying our dinner on a blanket, watching sailboats, collecting sea glass and climbing on empty lifeguard chairs. 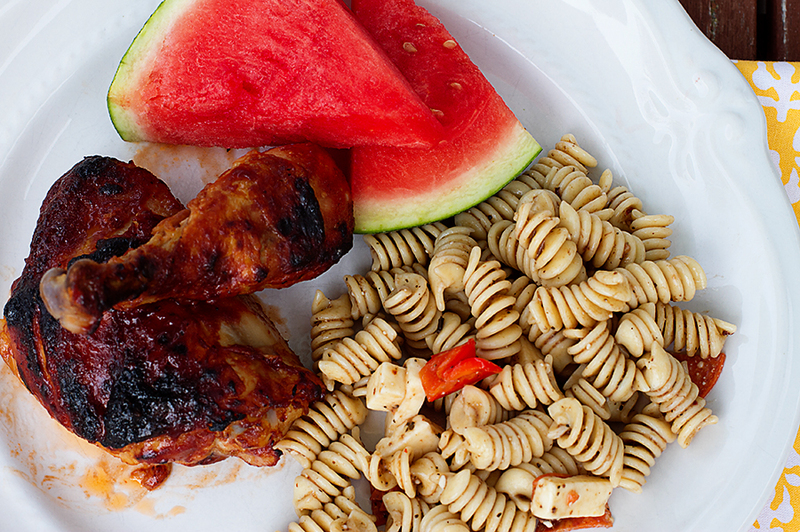 This barbecue chicken recipe is one of our favorite prep ahead packable dinners! Enjoy! Prep Ahead Plan: Prepare the chicken the night before and leave it in the fridge until ready to bake. I use a foil pan to save on clean up time! A couple hours before heading to your picnic, bake it and pack it up while it's still warm. We also enjoy this chicken cold, right out of the fridge! 18 oz bottle of your favorite BBQ sauce or use the homemade recipe found here. 1. Preheat oven to 350 degrees. Arrange chicken pieces in a foil pan. 2. Sprinkle with garlic, onion powder, and pepper. Be sure to season all sides AND underneath the skin. 3. Cover with foil and bake for 45 minutes. 4. Remove pan from oven and brush with barbecue sauce. Again, be sure to get all around each piece and under the skin. Continue to bake uncovered for 15 minutes. 5. For crispy skin, broil on high for the last few minutes until the skin is browned up to your liking! Enjoy!!! Copyright © PrepAhead and Dine In: Summer Picnics..... All Rights Reserved.